This is The New Philosophy of fully customizable anti-aging facial treatment. The patient is at the center of a static and dynamic approach to the wrinkles and volumes of his face, which the complete analysis is the key to success. This analysis will lead to the treatment plan. 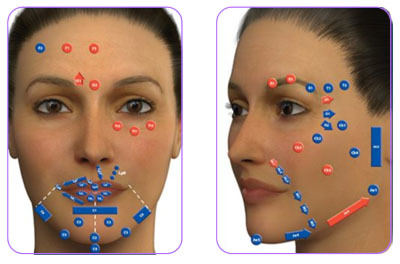 The MD codes technique was conceived and developed by a well-known Brazilian cosmetic surgeon Dr. Mauricio Di Maio. He relied on his anatomical knowledge and his surgical practice to define a natural and rewarding treatment of the face related of aging signs. The 75 precise injection points were strategically defined from the anatomical and surgical data of the different compartments of the face taking into account the bone reliefs, fatty compartments, vascular and nerve structures. Each injection site corresponds to an indication that depends on underlying local anatomical factors such as bone resorption or fat compartment, but also on the mobility of the area and its movement, before and after any correction. Injection volumes are also coded to avoid over-correction. 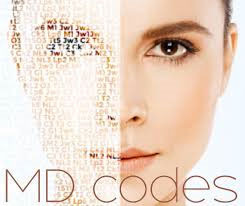 The purpose of the MD Codes is to gently modify the face by erasing age-related signs with more precise, more discreet and more effective injections with the "french touch". 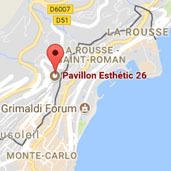 They make the best use of the latest innovations in injectables by pushing back the limits of aesthetic medicine.